Similar to last year, there were a lot of things I didn’t like about 2018, whether it was the never-ending onslaught of Facebook-related privacy scandals, the new MacBook Air not entirely living up to the pedigree of its predecessor, or Wi-Fi being crammed into every single smart home product ever, regardless of whether it makes sense to do so. That said, there were a lot of things I really liked about the past year, particularly in the tech space. I’m also incredibly thankful for my job at MobileSyrup as it gives me the opportunity to do what I love every day — write sometimes insightful, occasionally amusing stories about cool tech products. Although not everything in this list is tech related, below are just a few of my favourite things from 2018. Back when Pokémon X and Y first released for the 3DS back in 2013, I came to the conclusion that the series was no longer for me. The franchise’s random battles grew monotonous, and the grind of levelling up a team of cute Pocket Monsters no longer appealed to me. At the time, I figured I’d finally aged out of caring about the franchise. 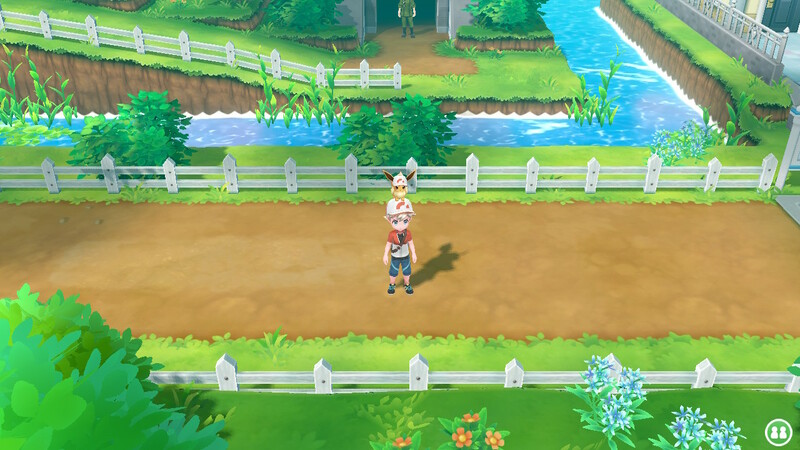 Whether it’s the fact that I took a break from the series for a few years, or the various quality of life improvements Pokémon Let’s Go makes to the series, the latest entry in the long-running franchise is likely my favourite video game of 2018. Not being forced to deal with frustrating random battles, as well as pulling any Pokémon from my PC on a whim, might seem like small changes, but these shifts went a long way towards pulling me back into the classic franchise. Revisiting the classic Red, Yellow and Blue era of the series’ Kanto region was a nostalgic blast from the past. I came to the realization that I remember a lot about the retro Game Boy Pokémon titles, but at the same time, forgot most of their intricacies and quirks. The Handmaid’s Tale, a television series created by Bruce Miller, but based on Canadian author Margaret Atwood’s dystopian novel initially published back in 1985, remains one of TV’s most gripping series. 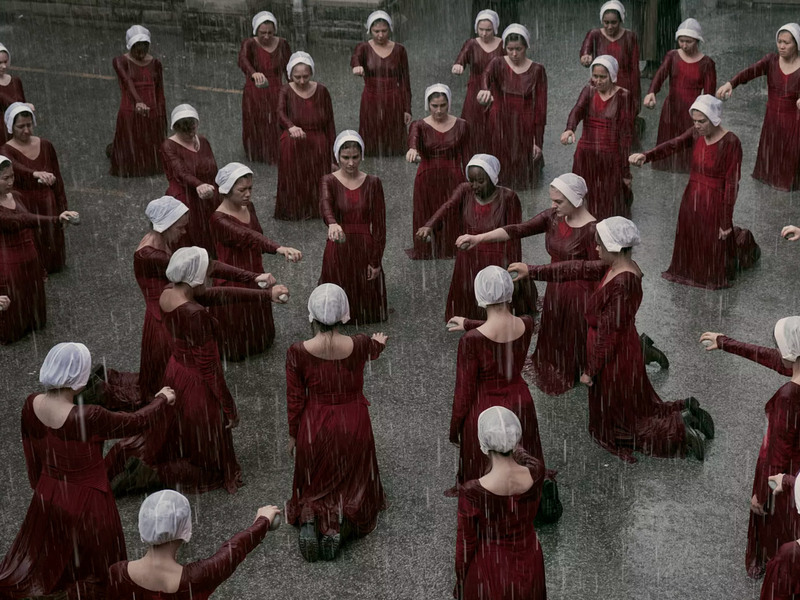 In the fictional, yet strangely current world of The Handmaid’s Tale, a totalitarian, theocratic state has overthrown the United States government following a collapse in fertility rates, resulting in an oppressive dystopian society that grants women few freedoms. The second season of the show, which aired over the course of 2018, focuses once again on a handmaid named Offred, played by Elizabeth Moss, as she attempts to escape from Gilead. Without giving too much away, Miller’s second season of The Handmaid’s Tale strays from its source material significantly, resulting in a darker tone that does an excellent job of conveying intelligent commentary on the state of the U.S.’ current government, women’s issues and society in general. Linking to the next topic in this list, you can stream The Handmaid’s Tale on Bell’s Crave service. Though I’ve always been a fan of Bell’s CraveTV streaming service, the shift to Crave brought with it current HBO content, live HBO channels and a complete user interface revamp that’s a step in the right direction, but that unfortunately still needs work. As an avid cord cutter, I’ve been waiting for Bell to launch an untethered version of HBO for years, whether through Crave or the company’s now-defunct TMN Go app. Though ‘Crave + Movies + HBO’ is priced at an additional $9.99 CAD per month on top of the base $9.99 plan, given how much I enjoy HBO shows like Game of Thrones, Sharp Objects and Ballers, that cost is worth it for me. I might even go so far as to argue that Crave, even at $20 per month, offers more value than Netflix, depending on your taste in content. I remember being a teenager and really, genuinely caring what people thought about my specific taste in video games, television shows, clothes and most importantly for me at the time, music. This constant need to ensure I was in-line with everyone around me eventually dissipated in my mid-20s, and as I move into my 30s, in almost all cases I don’t care what people think about my eclectic, usually poor taste in a variety of things. This is where the podcast Blink 155 comes in. It’s a podcast about the admittedly downright terrible, yet at times genius band Blink 182 — but also it isn’t. Throughout Blink 155’s 106 episodes, I’ve concluded that the podcast is just two friends, hanging out, coming to terms with getting older and trying to wrap their heads around why they enjoy certain types of music and specific bands. 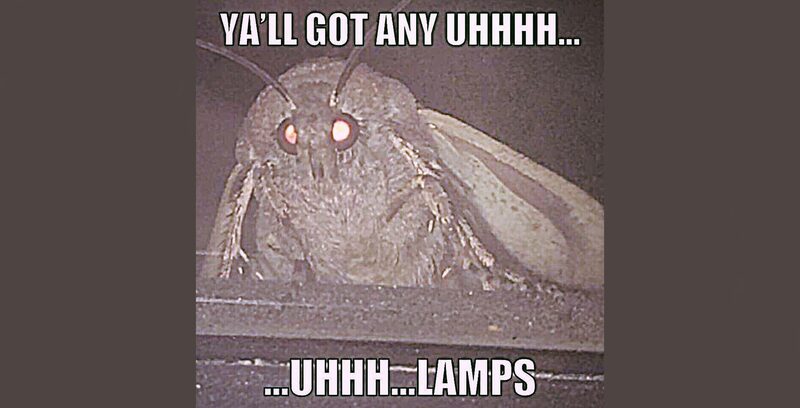 The podcast, which is hosted by Josiah Hughes, a writer at Canadian music magazine Exclaim, and Sam Sutherland, a former journalist and creative director at The Shed Agency, really isn’t about Blink 182, with the band serving as only a backdrop to discussions surrounding memes, internet culture and absolutely nothing of substance. They don’t take themselves too seriously, yet still manage to provide thought-provoking commentary, which is always how I aim to present myself, whether in my writing, video, or even podcast work. For the four of you out there interested in this podcast, you can subscribe to Blink-155 pretty much any podcast platform out there, including iTunes. Cannabis has never been a big part of my life, but I’ve always had a casual interest in the now legal plant. 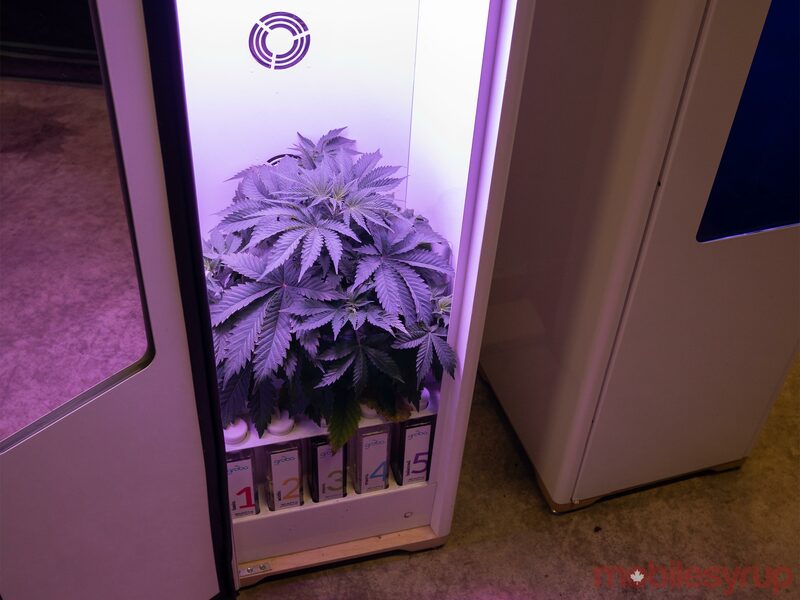 So when Waterloo-based Grobo reached out to me about its auto cannabis and other plants growing system called the Grobo One, I was intrigued. The surprisingly noisy device uses deep water culture, complete with nutrients automatically being injected into the device’s basin, to grow plants in a relatively automated, hands-off way. I’m only a few weeks into growing a plant, but it’s been fascinating to follow along with the growing process through Grobo’s web-based app. I’m also surprised at how rapidly the plant has grown, with it already reaching a few inches in height after just 28 days. The Grobo is admittedly expensive, coming in at $1,999 USD (roughly $2696 CAD), but that steep cost might be worth it for some people.